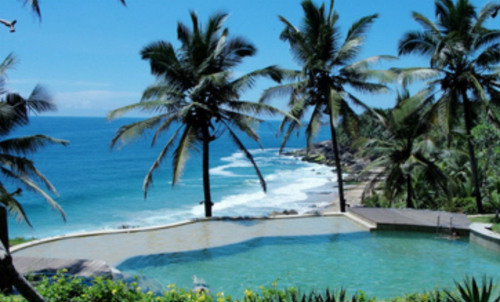 Top Spa Hotels in India. 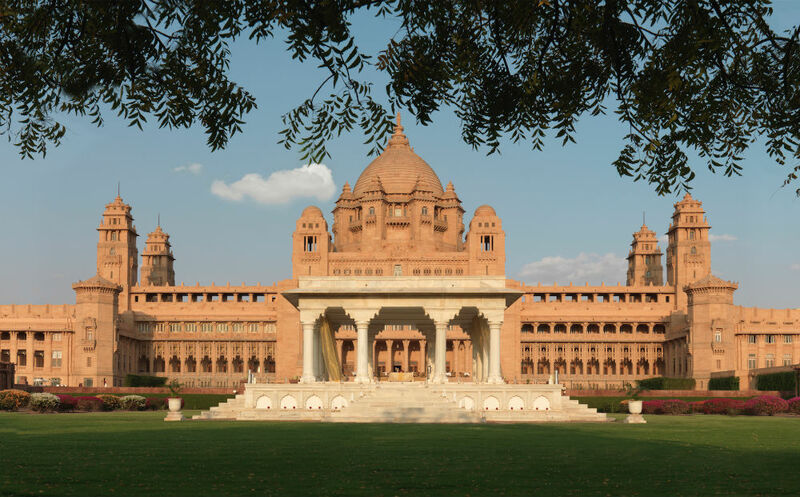 The land of mind, body & soul, India is sure to excite you with its authentic retreats, endless opportunities natural treatments and countless hotels that allow you to dedicate your entire journey to relaxation, mental peace, and wellness. 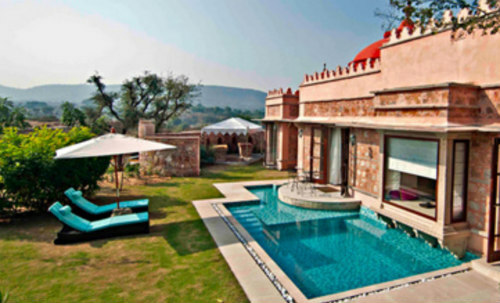 Your Spa journey may begin in the north in the foothills of the Himalayas. Steeped in tradition and customs, these lands host some of the greatest spa hotels in the country. Most properties offer stunning views of the surrounding valleys while allowing you to immerse yourself in their Spa treatments and luxury amenities. 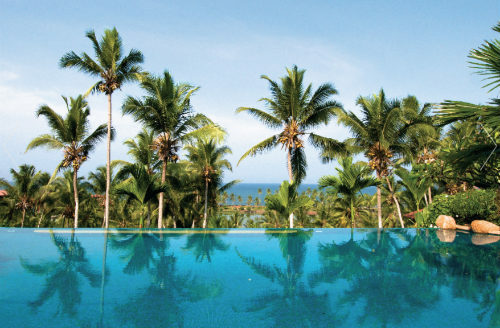 Kerala is famous for its skin treatments, and its spa hotels are exactly what you need to rejuvenate your beauty and discover the secrets of anti-aging. Historical villas have now been reconditioned into spas to give you the best of both worlds – the romantic atmosphere and luxury of yesterday and modern skin-loving treatments of today. Better yet, many of these spa hotels are located close to some of the most beautiful beaches in the country. Spend your day bringing out the most beautiful tan and your evenings pampering yourself. It does not get better than this. 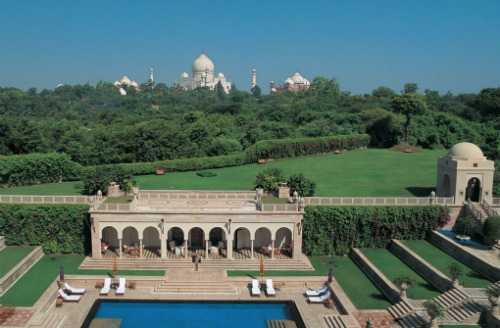 Many of India’s luxury hotels also let you dive into the world of spas and treatments. Irrespective of which part of the country you are in, most luxury hotels boast of having their own private spas areas. 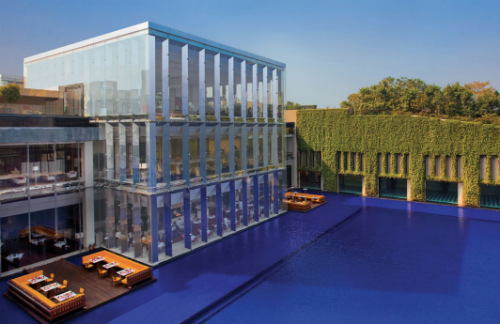 Some present superb locations overlooking stunning lakes while others are located within concrete jungles and the confines of opulent decors, but either way, you can always expect them to offer the best of Indian traditions and modern treatments. 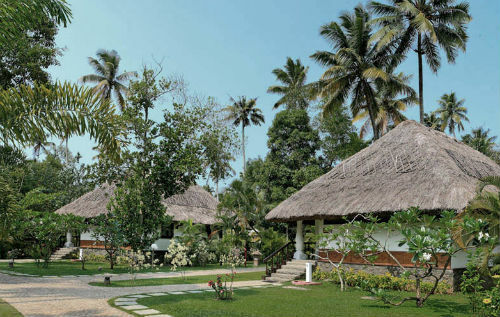 Vivanta by Taj – Bekal, is one of our best-kept secrets till date. Just like a game of hide and seek, you will discover some of the most amazing pleasures and experiences life has to offer. We would simply say, seek, and you will find. 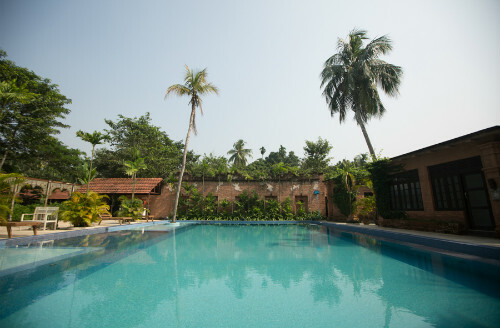 Seek style, and you will find it in the 71 laterite lined villas and rooms which are inspired by the design of Kettuvallam house boats and reflect Chitra Pothi art on the walls. 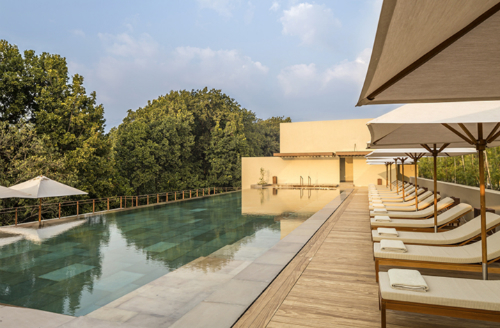 The Oberoi Sukhvilas Resort & Spa is the latest edition of Oberoi hotels in India, located in New Chandigarh in the Siswan Forest Range surrounded by over 8,000 acres of protected natural forest at the foothills of the outer Himalayas. It is located thirty minutes from Chandigarh city centre and forty-five minutes from Chandigarh airport. 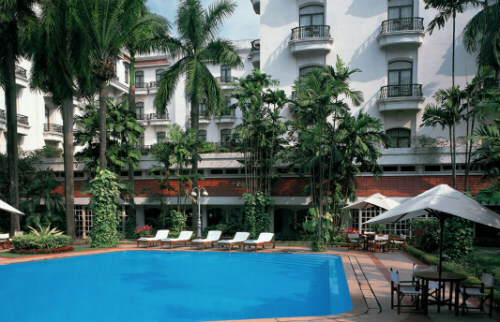 The Leela Palace New Delhi is the capitals only modern Palace Hotel. Ultimate luxury is on offer here with a diverse choice of Room Grades from Grande Deluxe Rooms right through to the top Presidential Suite. Make the best of your stay and enjoy relishing treats from our all-day diner at The Qube. Another fine dining experience can be found at Jamavar the hotel’s signature fine dining restaurant. The Oberoi Grand, fondly referred as the ‘Grande Dame of Chowringhee’ offers the ultimate classical residence in the City of Joy. Standing stately for over 125 years. 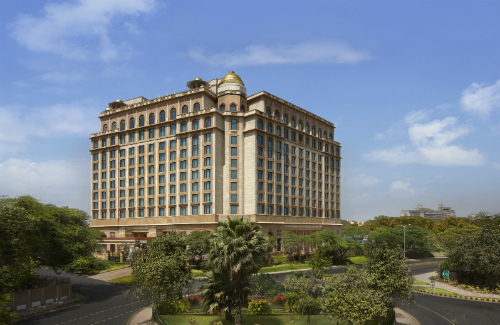 The Oberoi Grand combines classic Victorian architecture and charm with state of the art amenities and facilities, offering our guests an oasis of tranquility amidst this bustling city. Nestled in the picturesque Shivalik Ranges amidst nature, Moksha Himalaya Spa Resort Offers a unique arrival experience by Swiss Gondolas, which take you across the mesmerising valley to this luxurious haven in the privacy of the imposing Himalayas. 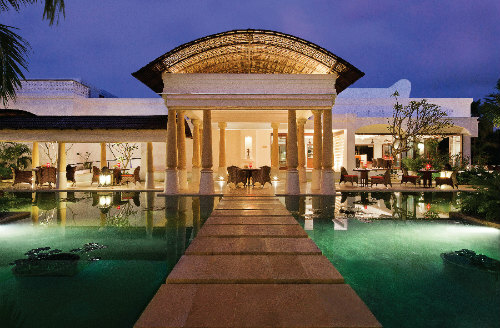 Rated amongst India’s 20 Most Romantic Resorts listed by Conde Nast Traveller and awarded The Best Destination Spa 2013! 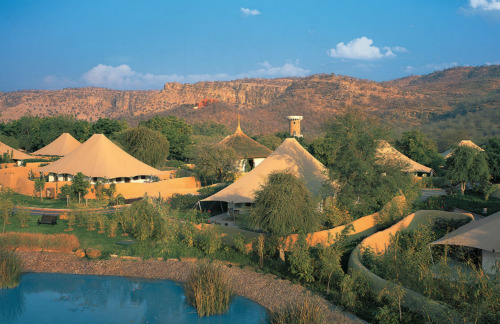 Nestling in the natural beauty of the wilds, The Oberoi Vanyavilas is India’s leading luxury jungle resort on the edge of the Ranthambhore Tiger Reserve. The resort setting is picture-perfect with a dramatic watercourse and sun-kissed private decks. The luxury tents with finely embroidered canopies, luxurious bathrooms and private walled gardens are in perfect contrast to the ruggedness of the jungle. 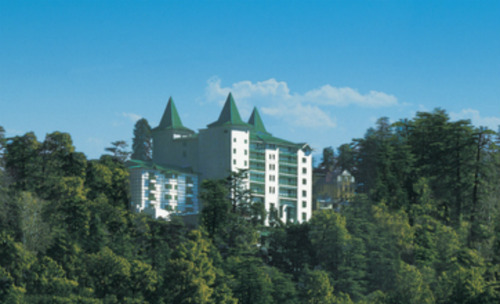 Oberoi Cecil Shimla is over 100 years old.The Oberoi Cecil is a Grand Heritage Hotel. It is situated at Chaura Maidan, Shimla, 7000 feet up in the Himalayas. 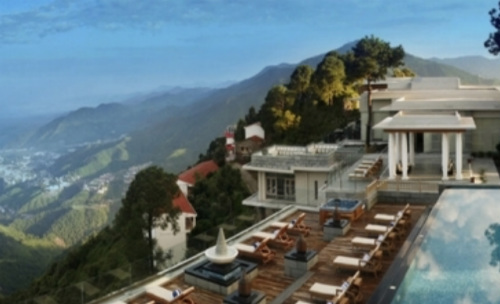 A celebration of the elegance and grace of the Colonial era in the Queen of Hill Stations, located in the majestic Himalayan ranges, The Oberoi Cecil is very much a part of Shimla’s colonial history. 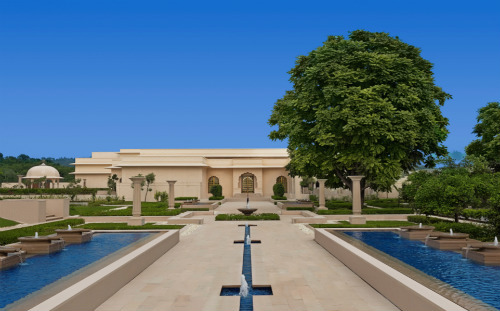 Conceived as a traditional Indian palace, The Oberoi Udaivilas showcases the rich heritage of the Mewar region of Rajasthan with its rambling courtyards, gentle rippling fountains, reflecting pools and verdant gardens. 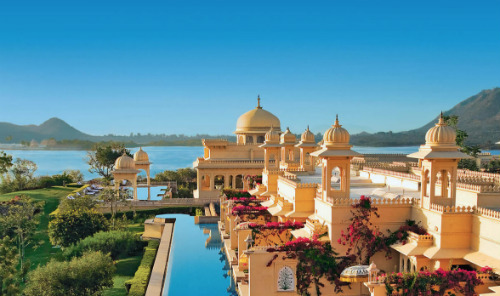 Grand architecture inspired by the palaces of Rajasthan present a picture of majesty resplendent with pavilions and domes that lead you to a journey of discovery.